David Puls began violin studies with Harry Katzman and Carol Sindell in his hometown of Portland, Oregon. He pursued further studies at Indiana University. He holds a Bachelor of Music from the University of Arizona, and a Master of Music degree from the University of Akron. He has been active with the West Virginia Symphony, the Wheeling Symphony, the Akron Symphony, and the Ohio Chamber Orchestra. David is an Artsbridge Catalog Artist, teaches privately, performs in a variety of chamber groups, and is a member of Arts in Education in Charleston. As music director of the Trillium Piano Trio he has performed in the Kanawha Forum Series, Sundays at Two in Tamarack, Glenville University, Saint Cecilia�s Concert Series, Lyceum Series, and the Arts Link Series. He taught music fundamentals as a graduate assistant at Pennsylvania State University. 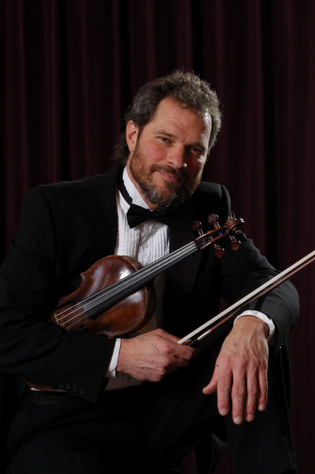 David teaches as a lecturer and violin/viola instructor at Marietta College. He also teaches a violin class and privately.